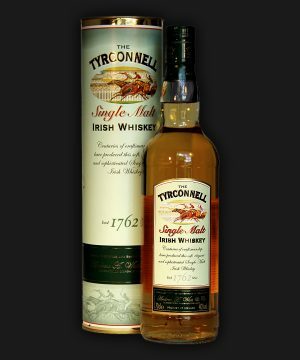 Irish whiskey must be distilled and aged on the island of Ireland. 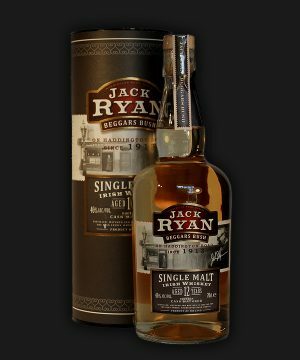 Irish whiskey was once the most popular spirit in the world, though a long period of decline from the late 19th century onwards greatly damaged the industry. Although Scotland sustains in the region of 105 distilleries, Ireland only has seven in current operation and just four of which have been operating long enough to have products sufficiently aged. 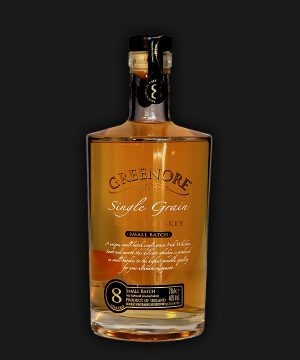 Most Irish whiskey is distilled three times while most Scotch, is distilled twice. 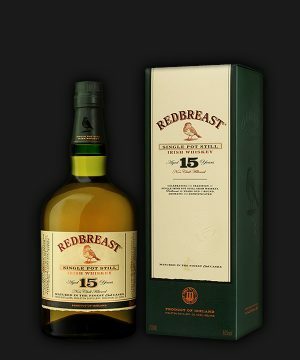 Peat is rarely used in the malting process, so that Irish whiskey has a smoother finish as opposed to the smokey, earthy overtones common to some Scotch whisky. There are notable exceptions to these "rules" in both countries; an example is Connemara Peated Irish Malt (double distilled) whiskey from the Cooley Distillery in Co. Louth, to the southeast, behind an imaginary line between the city of Dundalk to the sailing town of Kinsale in County Cork.